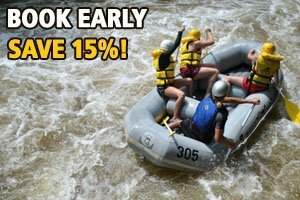 Laurel Highlands River Tours & Outdoor Center offers exciting and educational field trips for schools, scout groups, and youth groups of any size. Groups get to explore Ohiopyle with our fun and knowledgeable group leaders and rotate through a number of activities including: bike riding on the Great Allegheny Passage, hiking into the Ohiopyle State Park Falls Overlook area, zip-lining in our Ohiopyle Zip-line Adventure Park, and gem mining at our Ohiopyle Mining Company just outside the Old Mill General Store. To make it easy for organizers, we have two field trip packages from which to choose. We can also customize a field trip for your group if there are other activities you would like to do. Just let us know. Includes gem mining, hiking, and zip-lining. $20 per person. Gem mining activity includes choice of Pay Dirt gemstone mix or Arrowhead Find mix, keeper bags, and gemstone identification card. Minimum requirements: 4 years old and 40 pounds. Includes biking (rentals included), hiking, and zip-lining. $30 per person. Minimum requirements: 10 years old and 70 pounds. Please note that we can add a deli-style lunch to your field trip for $5 per person. Lunch includes various lunch-meat and cheese, peanut butter and jelly, cookies, fruit, and drinks. Let us know if you would like us to include lunch with your field trip when making your reservation.